Africa has already changed fundamentally. Access to education has improved substantially across Africa. And throughout the continent the health of the population is improving. 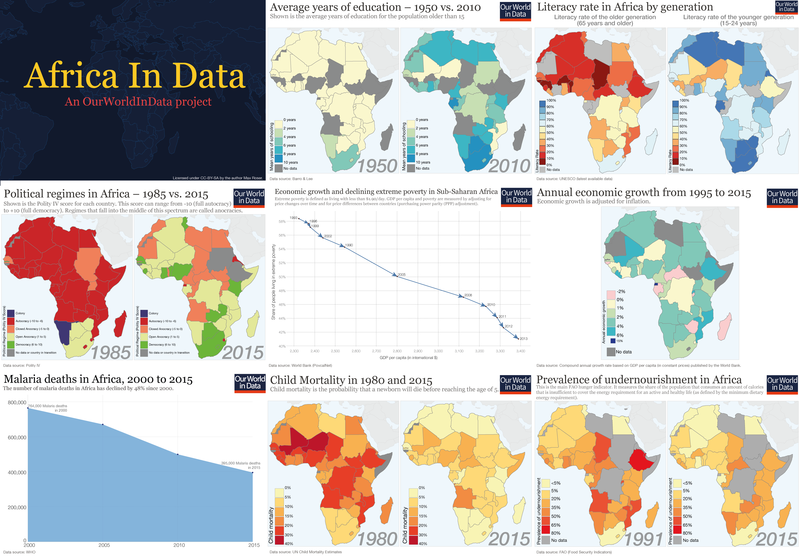 You can click on any chart in this presentation to see the interactive version and study the data – including the sources – in detail. One century ago most of Africa was colonized by European powers. This map is from the World Bank's World Development Report (2009). After long years of brutal dictatorships, many parts of Africa are now governed by democratic regimes. Since the early 1990s Sub-Saharan Africa achieved economic growth and the share of people living in extreme poverty declined. Growth was not only achieved in a few countries. Over the last 20 years many African countries have achieved sustained economic growth. Since the early 1990s the share of undernourished people has declined in many parts of Africa. During the last 15 years the number of people killed by malaria in Africa has been almost halved. Smallpox was a horrible disease common around the world. With global vaccination campaigns it was completely eradicated by 1977. 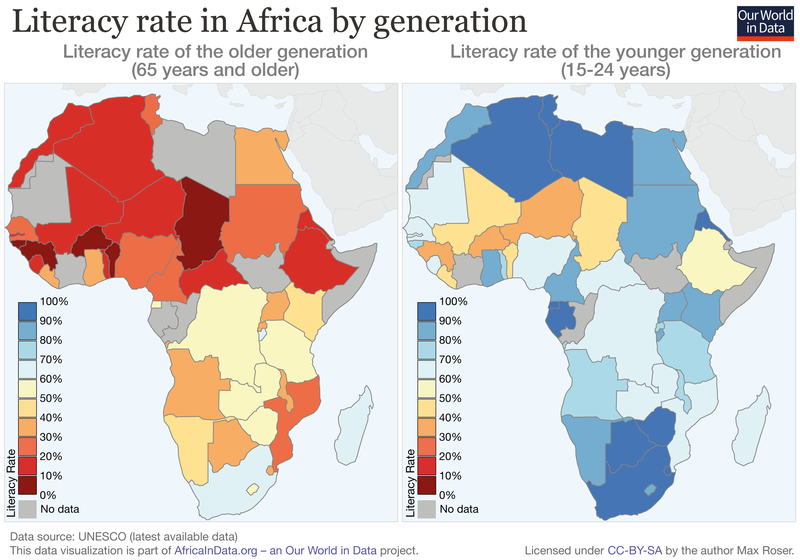 The young generation in Africa is much better educated than ever before. This is the biggest reason I am optimistic that Africa's progress will continue.